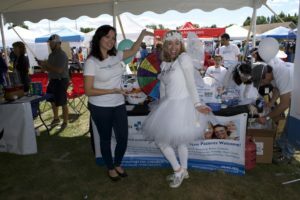 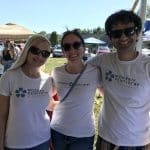 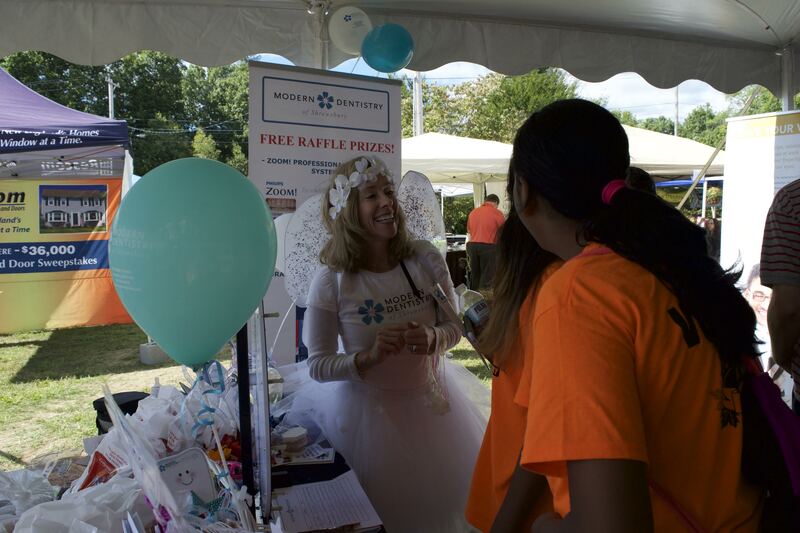 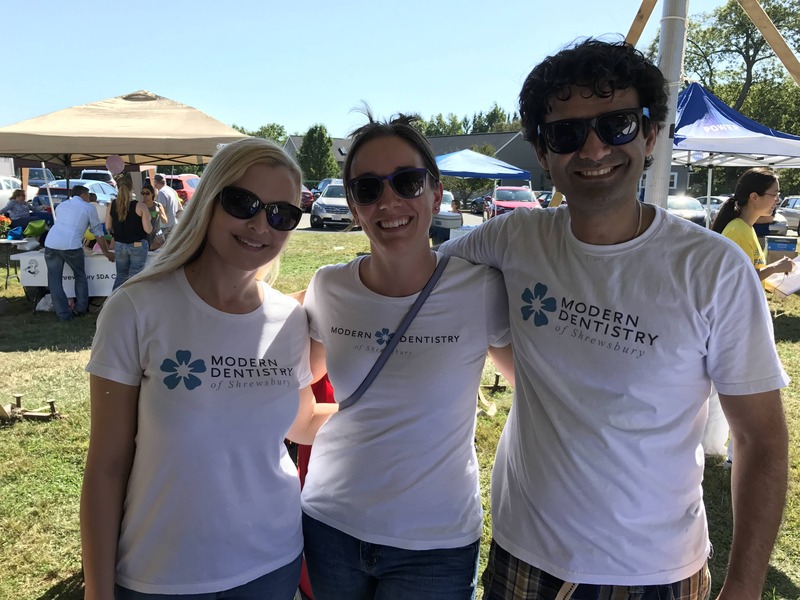 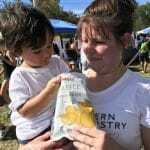 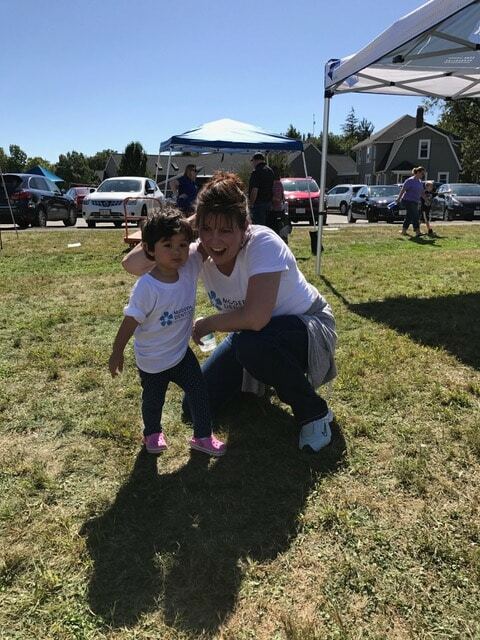 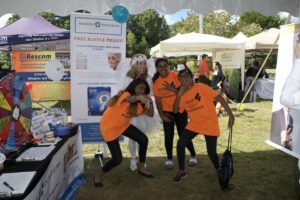 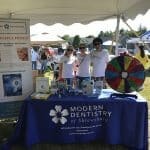 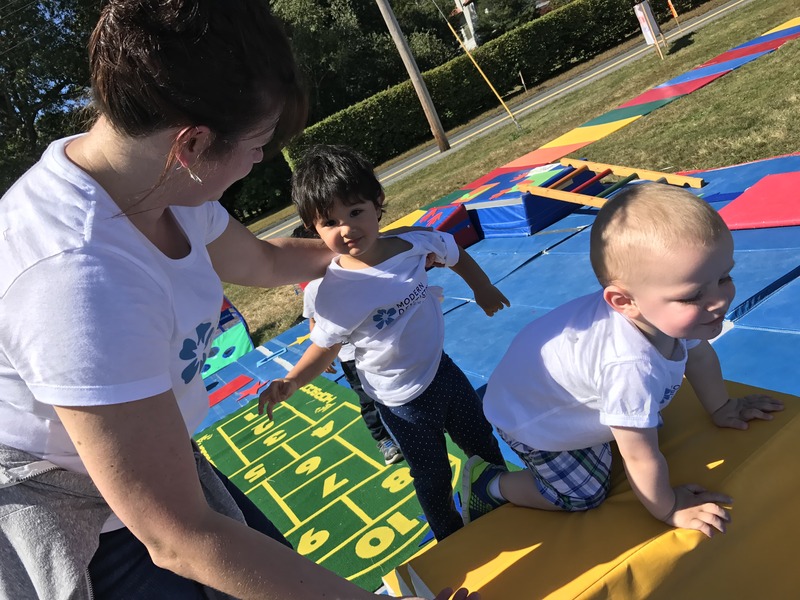 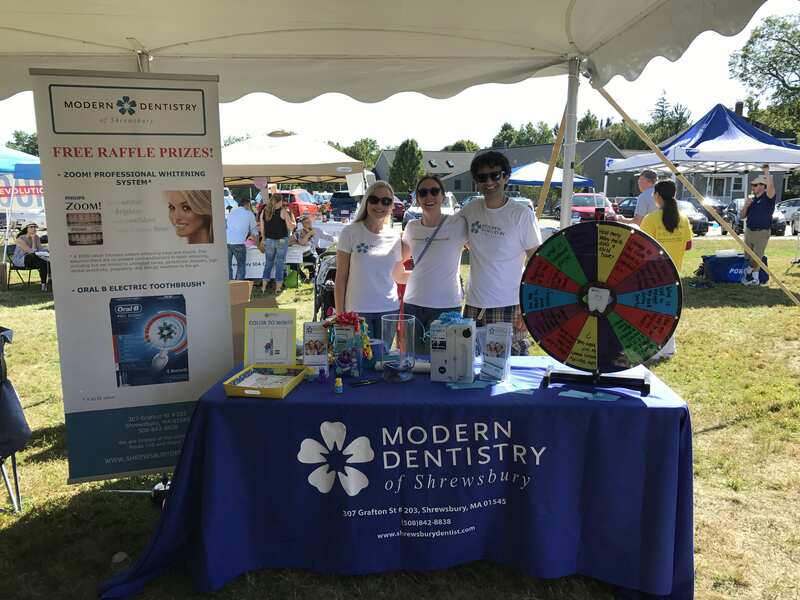 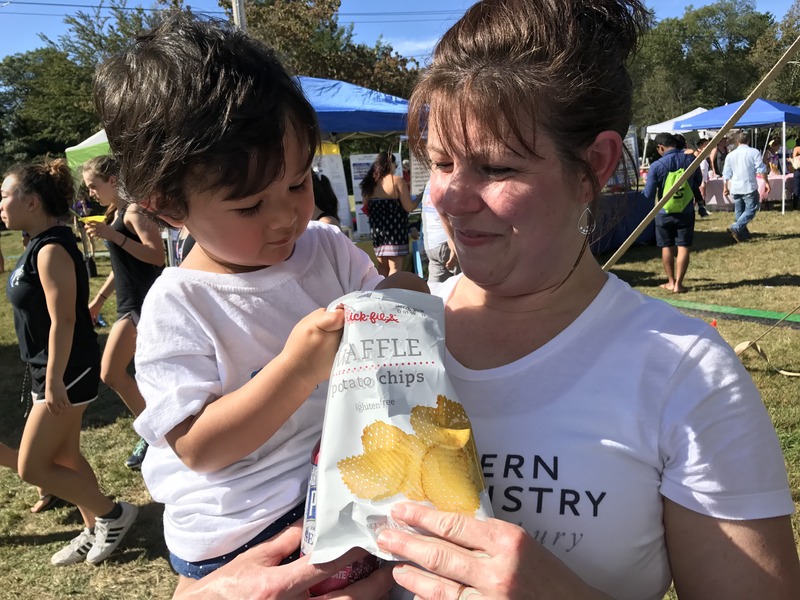 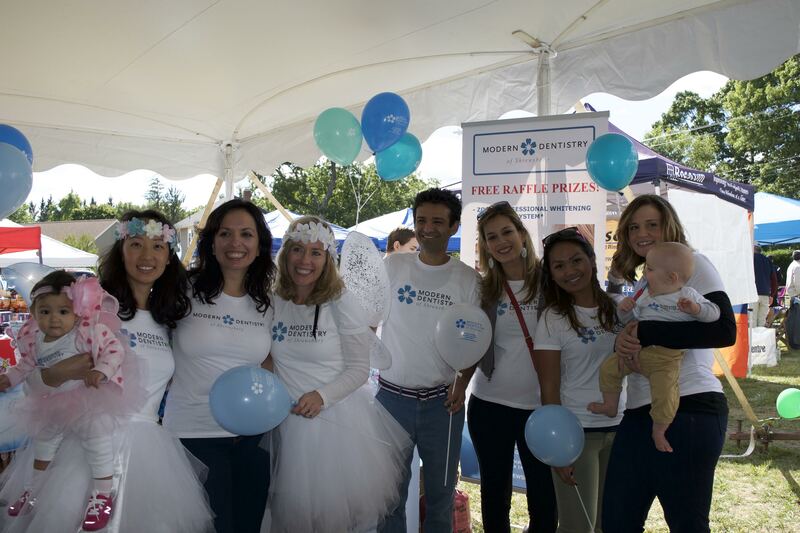 Our team attended the Shrewsbury Fall Festival, where we gave out raffle prizes, provided a coloring contest for the kids, played a dental trivia game, and distributed more than 200 bags of dental hygiene goodies! 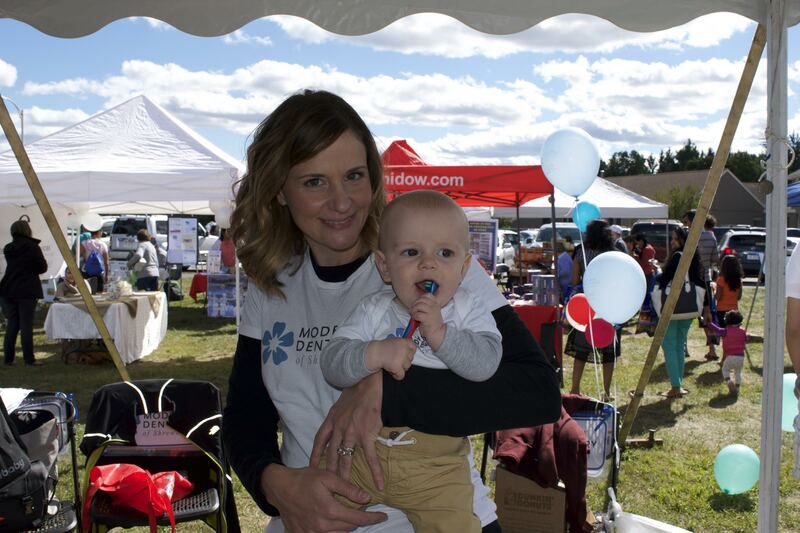 It was a beautiful, sunny day, and there was a great turnout. We loved being a part of this annual Shrewsbury tradition! 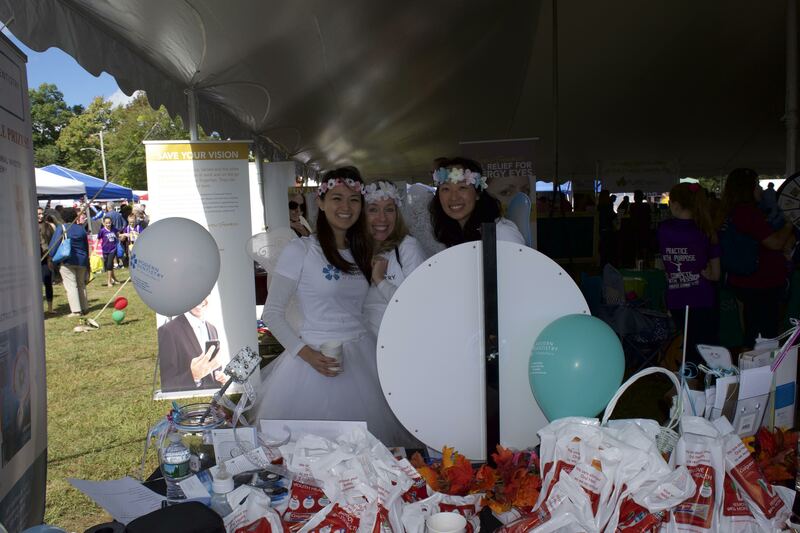 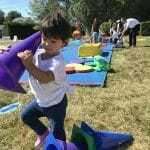 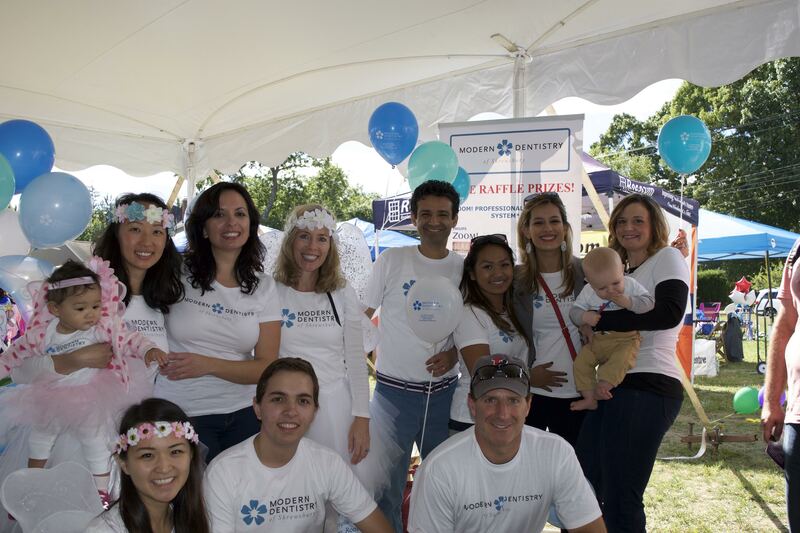 Recently our team had the opportunity to take part in the Spirit of Shrewsbury Fall Festival! 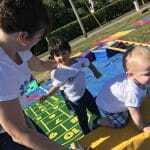 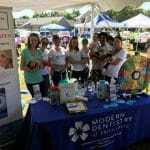 We offered educational games on oral hygiene, held raffles, and gave away hundreds of dental hygiene products. 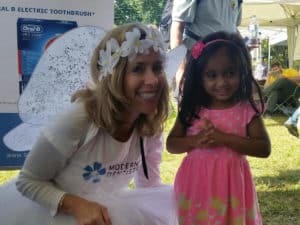 Our staff and amazing volunteers dressed as tooth fairies and had a ball interacting with kids, parents, current patients, and hopefully, future patients as well! 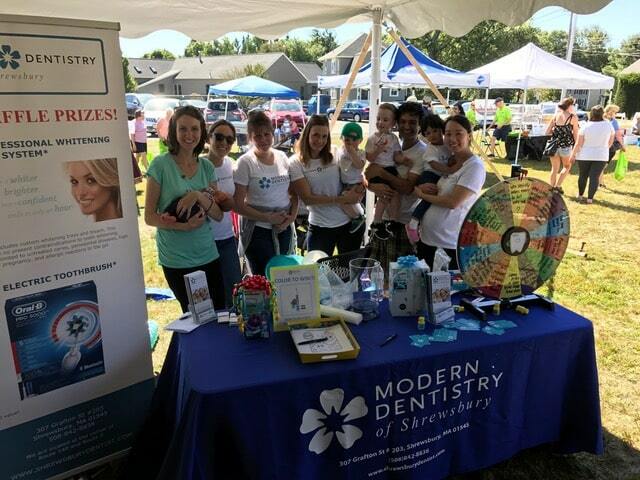 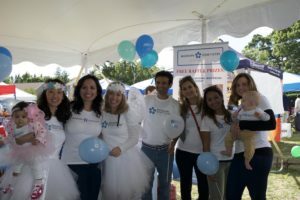 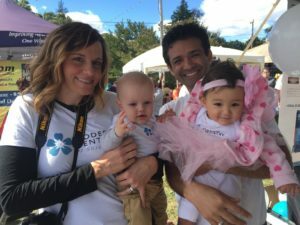 Modern Dentistry staff, their babies, and our wonderful volunteers! 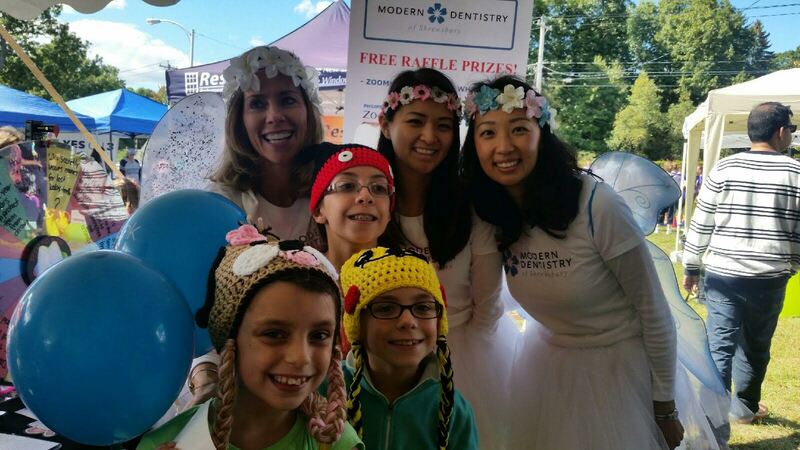 just in time for the tooth fairy! Tooth fairies on a break. 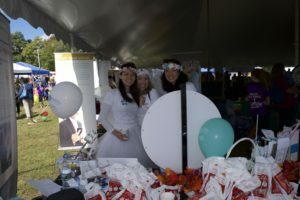 Look at all the giveaways! 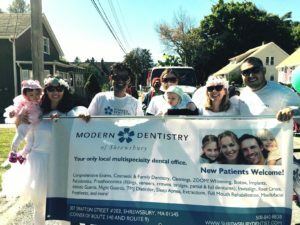 Parade march on Sunday with the staff. 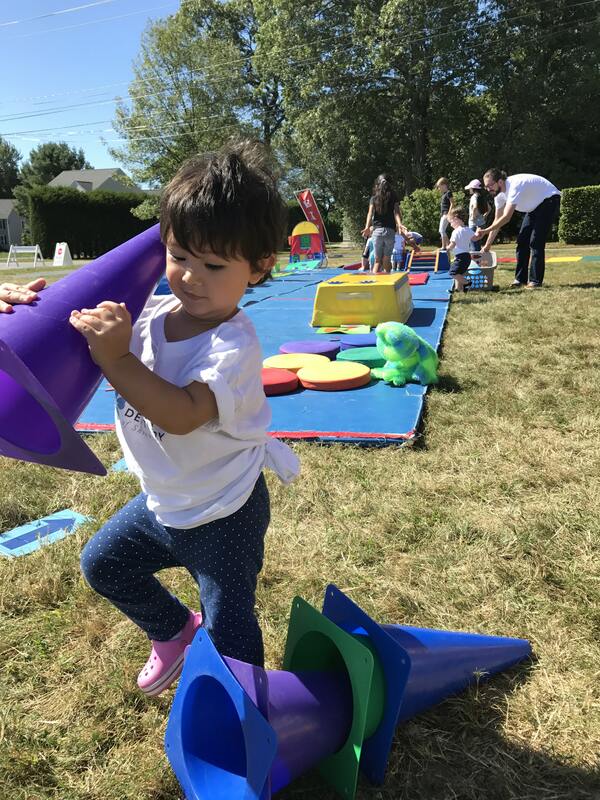 The weather was great! 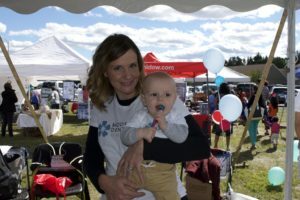 Cherilyn and her son Dominic. 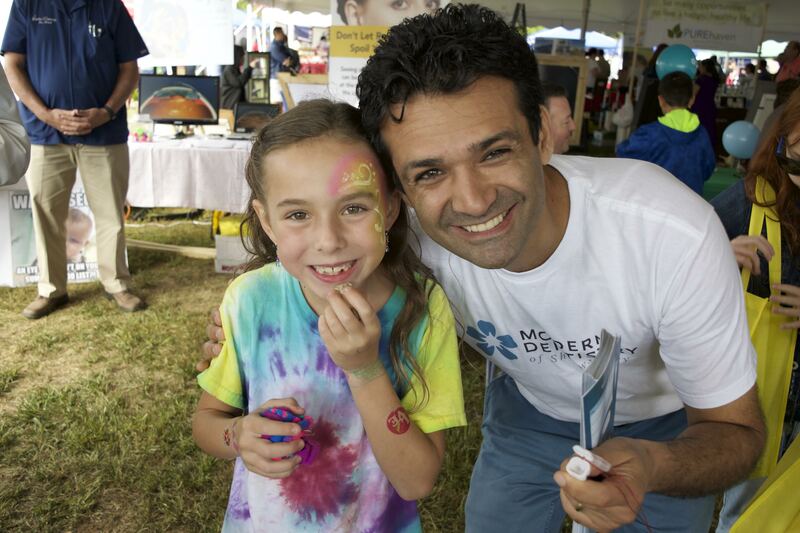 Dr. Mehdi and his daughter Kaylah.